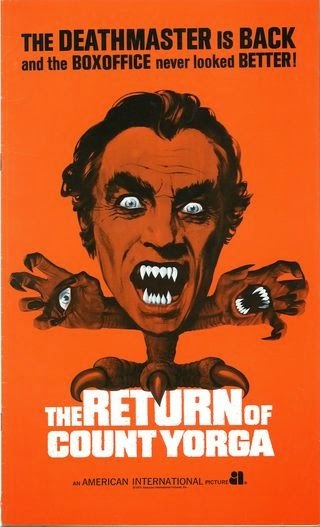 Return of Count Yorga brings back Robert Quarry as Count Yorga and Roger Perry as a different character. Brudah, the maybe-a-werewolf servant of Yorga is also back. No real explanation is give as to why or how Yorga and Brudah are back. Mariette Hartley stars and even Craig T. Nelson has a small role. If anything this is a better movie than the first Count Yorga. The story is more original, not just a copy of Dracula, though I guess it is similar to Dracula's Guest. Plus the horror element is heightened. 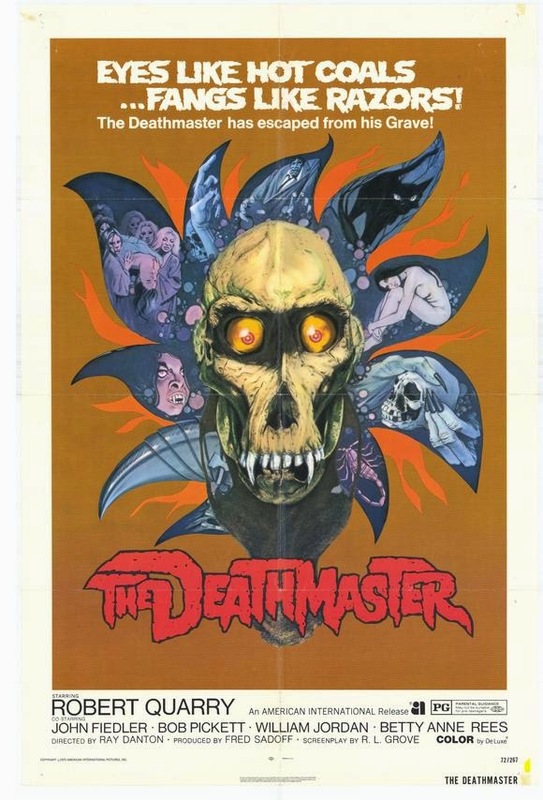 The Deathmaster is a Yorga sequel in all but name really. Robert Quarry now has a beard and he is playing a vampire named Khorda, but the shtick is the same. So are most of the make-up effects. Khorda now takes control over a group of hippies to turn them into his death cult. The movie is slower than Return, but it does feature a nasty death scene where leeches are thrown onto a vampire and they kill him. Interestingly enough. The posters for Count Yorga and Return of Count Yorga refer to the Count as "the Deathmaster" and then next year he was in "The Deathmaster".